This Saturday will see the performance of the Doctor Who Symphonic Spectacular, taking place at the Plenary Hall, MCEC in Melbourne and performed by the Melbourne Symphony Orchestra. 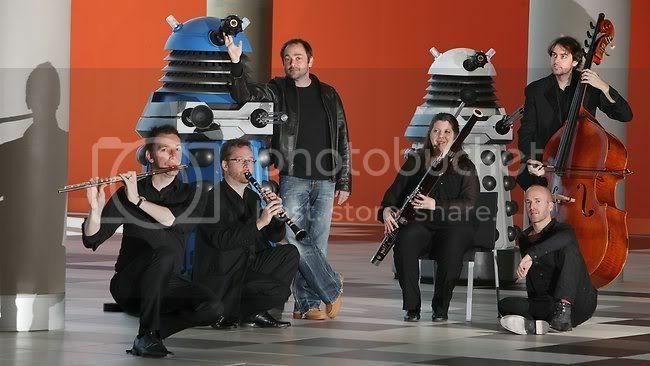 The two hour concert will be presented by actor Mark Sheppard, and conducted by Doctor Who stalwart Ben Foster, with composer Murray Gold on piano. Choral aspects of the performance will be by the Concordis Chamber Choir, led by Chorus Master Andrew Hunter, with solos undertaken by Antoinette Halloran (soprano) and Tobias Cole (counter-tenor). There will be two performances taking place, one at 2:00pm and the other at 7:00pm. At the time of writing both performances are sold out. A musical celebration with the Doctor on the big screen and a host of live monsters including Daleks, Cybermen and The Silence invading the venue. Inspired by the BBC Doctor Who Proms at the Royal Albert Hall in London, the Melbourne Symphony Orchestra, conducted by Ben Foster, will premiere Murray Gold's amazing music from the last two seasons of the legendary BBC series. Ben Foster featured as a guest on ABC Melbourne 774 to discuss the concert and his music career; the interview can be downloaded from their website. Meanwhile, Mark Sheppard talked to ABC Hobart 936 about his prolific career, which is also available for download. 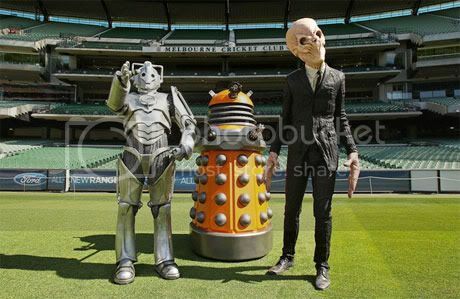 A photocall for the concert took place at the Melbourne Cricket Ground, featuring a Dalek, Cyberman and Silent. The Herald Sun features an article on the concert, with Mark Sheppard saying: "Sci-fi fans are the smartest fans in the world - you're talking about an intelligent audience, an audience that appreciates great music, great stories and great passion. Give them garbage, they walk way." Composer Murray Gold said: "People will travel for this show which is brilliant. We've come 15,000 miles, or whatever it is, for one day here." Gold was also interviewed by the Australian, chatting about his career in television and films.